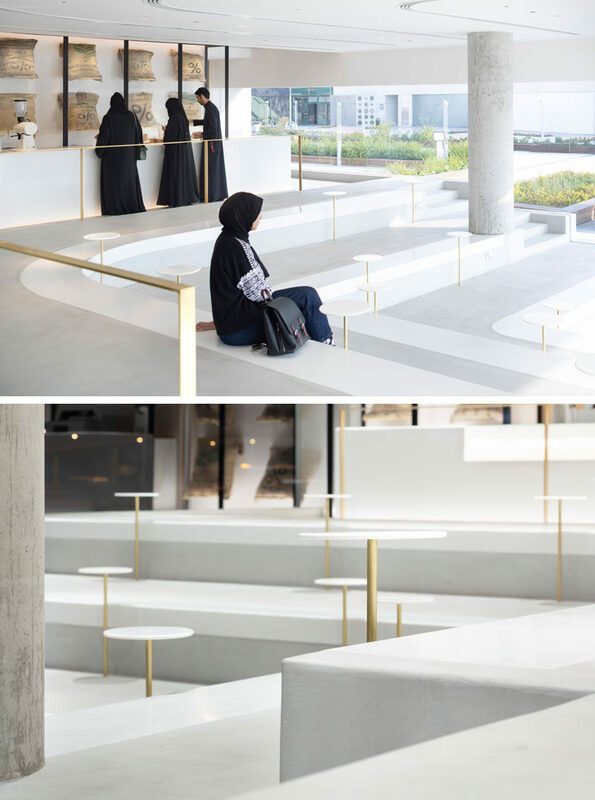 Japanese design firm nendo has completed a new interior for Arabica Coffee in Kuwait, the latest location for the coffee shop. 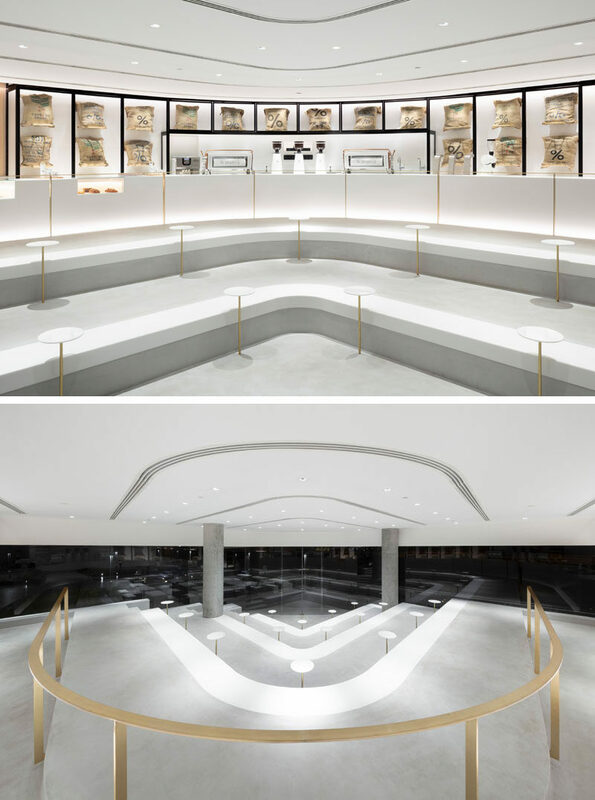 The designers worked with a 4-meter ceiling height and as the location of the coffee shop is on a corner with a wide window opening, the space was designed with a layered platform gradually rising from the seating area near the entrance to the counter at the top. 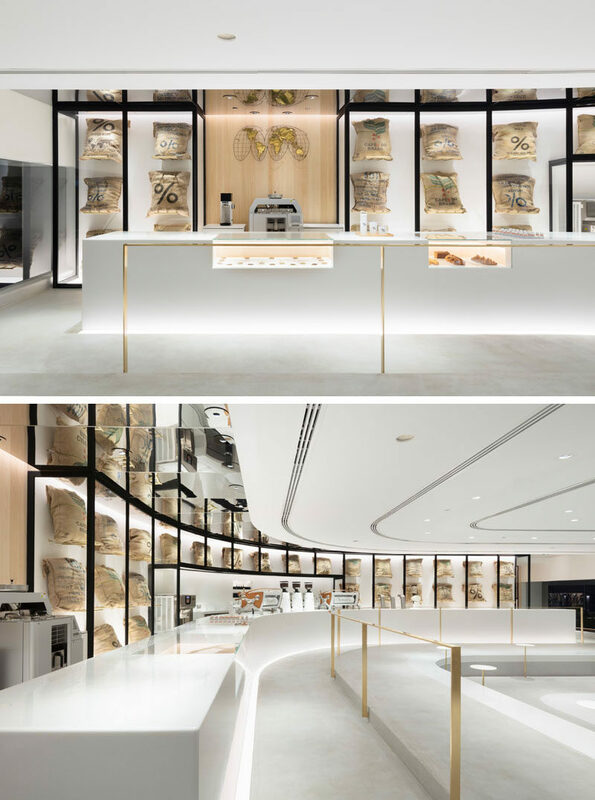 Using crisp white as a base color, the interior of the coffee shop is accentuated with materials such as brass and concrete to fit to the design theme of the Arabica brand and to symbolize the qualities of their high-end products. 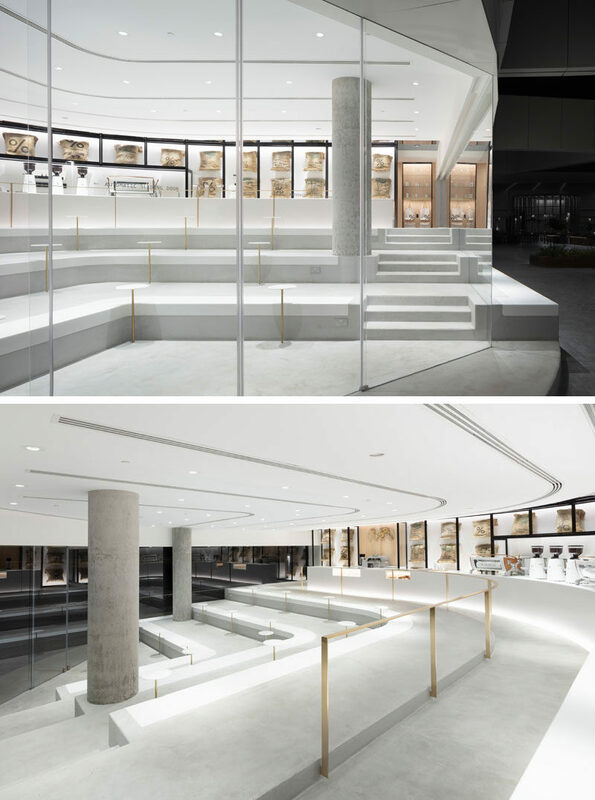 The 190 sqm space can seat up to 30 customers at once and 44 additional seats are available on the outdoor terrace. 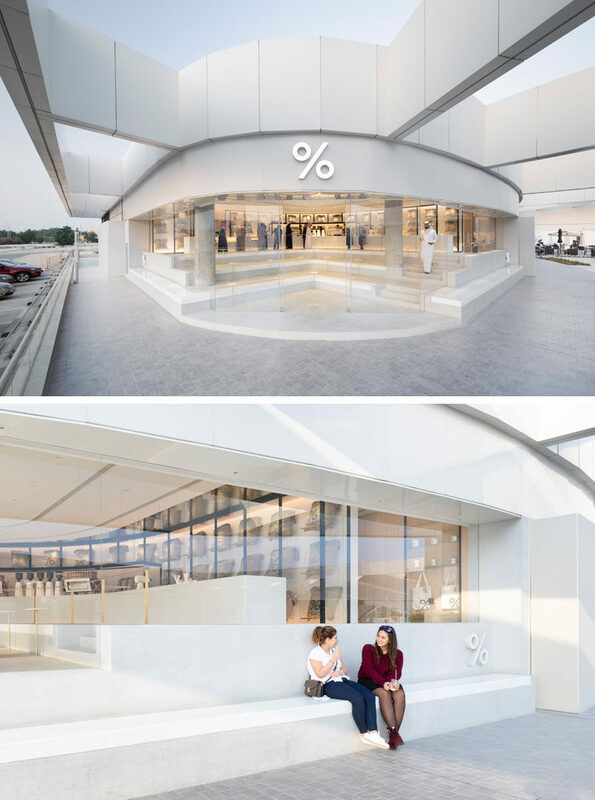 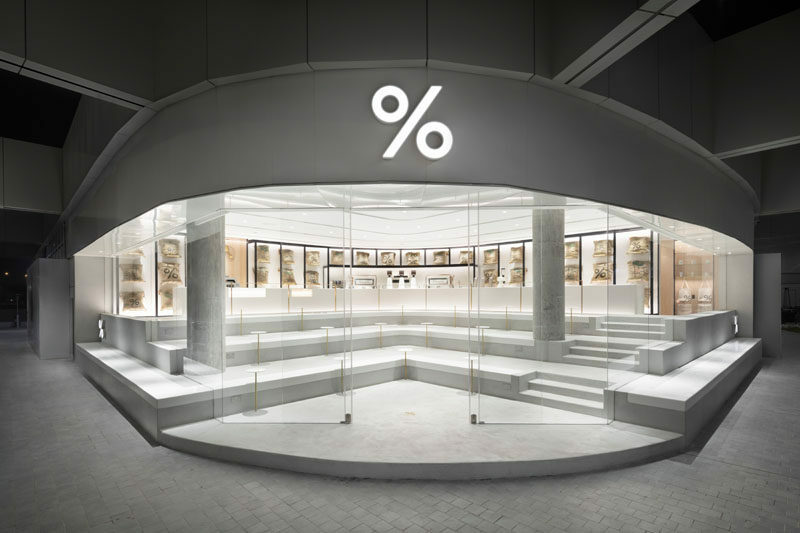 In order to visually connect between the shop’s interior and exterior, a part of the seating bench was extended to the other side of the window.